Many people ask us "What does a home addition cost?". The answer is "It depends...". The size of the addition, and the overall use of the final space, can greatly affect the price range. For example, a small addition on the back of the house, such as a 10'x12' space to expand a living room, could average $60,000. 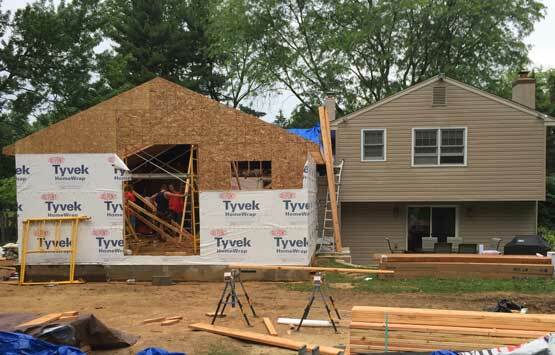 A large 2-story addition, that doubles the size of the house and adds a master bedroom and bath, and a new kitchen and living space can go up to $400,000. We take the time to get to know your overall goal with the new space, with your budget and timing in mind. Customers are able to make a decision on whether or not to move forward with a project based on our estimates. 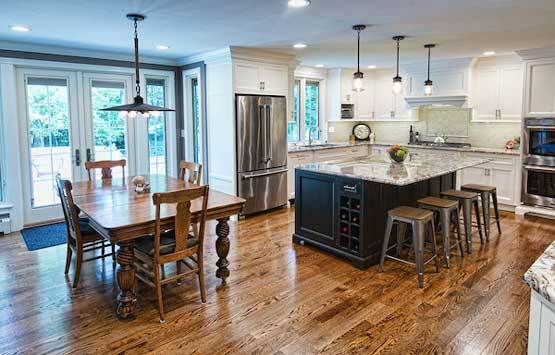 The pricing of a kitchen remodel varies, based on how much the space changes. The overall price of a renovation includes everything except appliances and decorative light fixtures. If you are keeping the same "footprint" of the kitchen (the plumbing and placement of the cabinetry stays in place) but you are adding new finishes (cabinets, flooring, tile backsplash), the cost can range from $35,000 - $90,000. If we are removing walls and changing the structure of the eating and dining areas, with a new footprint and all new finishes (like the kitchen we are showing here), the price can range from $75,000 - $125,000. Depending on the finishes you choose (such as cabinetry and flooring) the pricing can go below and beyond these ranges. Check out our blog "7 Steps to Budgeting for Your Kitchen Remodel"
The overall price of a bathroom renovation will include everything except decorative lighting and the accessories (paper holders, mirrors, medicine cabinet - which we will gladly install). 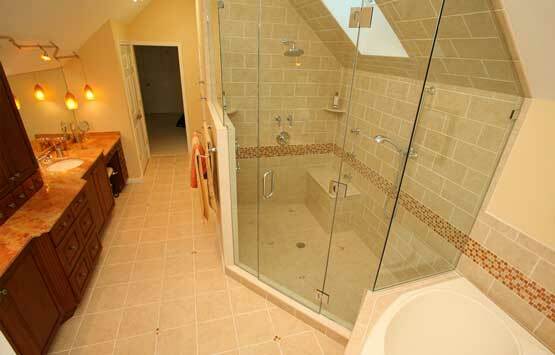 Rebuliding or creating a master bath, where we are expanding walls and moving plumbing, can range from $35,000 - $70,000. And of course, depending on the materials you choose (such as cabinetry and tile) the pricing can go below and beyond these ranges. 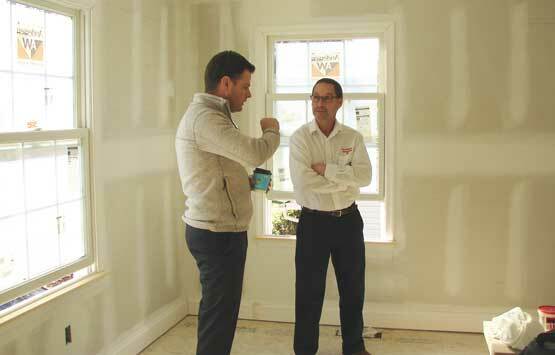 Budgeting and finding financing for your renovation project is the most important component of the planning process. During Stage 1 of the Design-Build Process we will provide you with a rough estimate of your project that will be within 5% of what the cost will be after completion of the plans and final pricing. "How to Budget for a Remodel"
"Funding Your Renovation: What is a 203K Loan"